Technical. Canon 7D Mark II 20-megapixel digital camera and 300 mm f/2.8 L IS II at f/2.8. 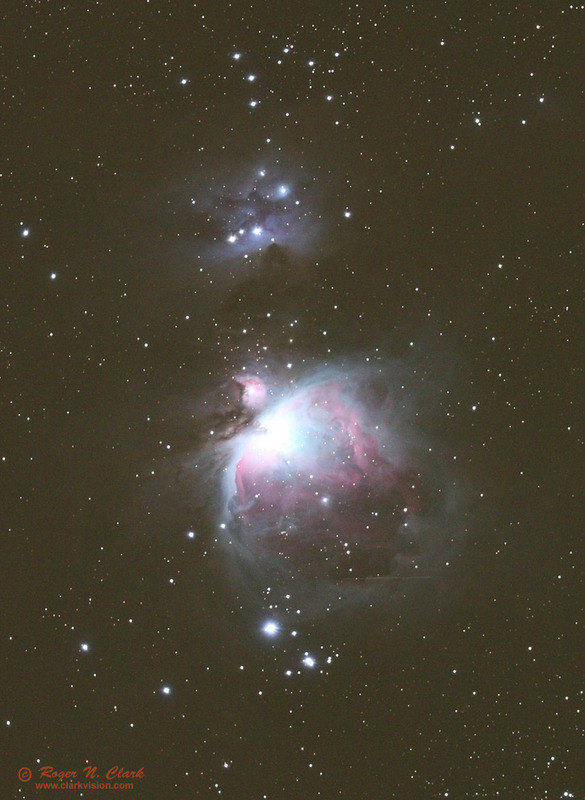 Twenty seven 61-second exposures at ISO 1600 were added (27.5 minutes total exposure) for the main image, then for the brighter core of the nebula, 4 32-second, 4 10-second, 8 4-second, and 6 2-second exposures. 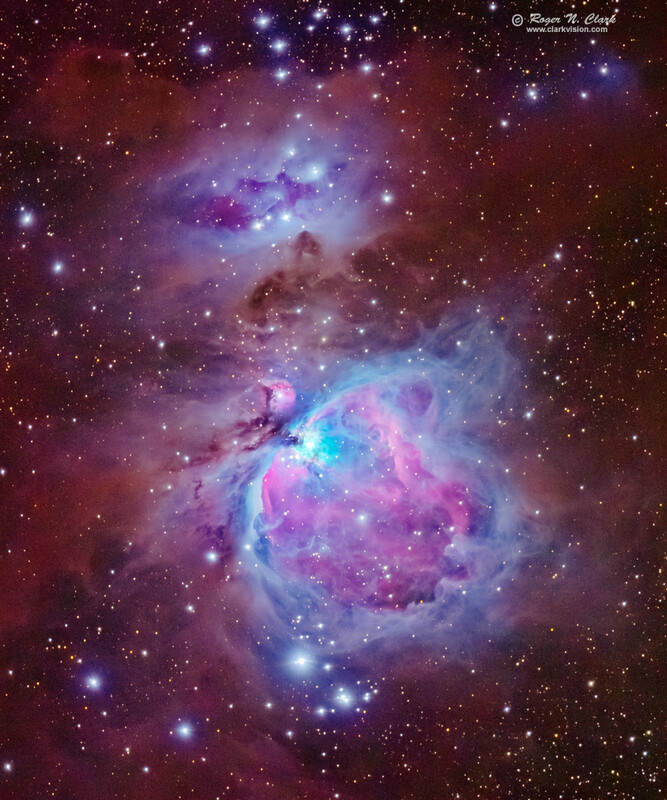 The short exposures were made into a high dynamic range image so that the core of the nebula was not overexposed. Total exposure time, including the core: 31 minutes. No dark frame subtraction, no flat fields. Tracking with an astrotrac. The outer orange nebulosity is very faint, so this image demonstrates that the 7D Mark II is an amazing low light camera for it to record so much detail in this short exposure. Full size image is at 2.8 arc-seconds per pixel, and the image here is a zoomed in crop to 3.2 megapixels, so 2 times lower than full resolution (5.6 arc-seconds per pixel). CEFA = 19600 minutes-cm2-arc-seconds2 (2.8 arc-seconds / pixel).